This model has been developed to perform tests using the Rockwell scale (with loads of 60, 100 and 150 kp), and the Rockwell superficial scale (loads of 15, 30 and 45 kp), but can also apply additional loads for other tests, such as Brinell or Vickers It is comprised of a motorised frame, where the load application systems are installed (which employ a computer controlled force transducer). Indentation depth is measured by a sensor with a resolution of 0.1 microns (0.0001 mm). The Rockwell system is used to test parts made of metal, plastic, rubber, etc. When you purchase a Hoytom machine it comes with a 3 year warranty. Hoytom machines are manufactured according to the most stringent standards. 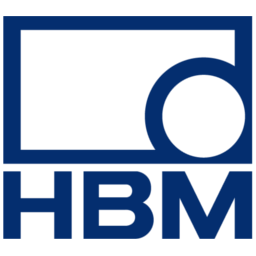 Hoytom has placed its trust in HBM, a leading technology and product and services company that produces a wide range of measurement applications for numerous industries. HoyWin® software is available for Hoytom testing machines. HoyWin® has been designed to be an extension of test instruments, to create efficient operation. If you are interested in this product, please complete the form and we will contact your as soon as possible, to provide you with all of the information you need. MAIN PURPOSE: Contact to resolve technical or commercial queries and send commercial advertising about our products or services. LEGITIMISATION: Consent from interested party. RECIPIENTS: Data shall not be ceded to third parties, unless by express authorisation or due to a legal obligation. We use the MailChimp application to store the information and create email marketing campaigns. RIGHTS: Access, amend and delete the data, data portability, limitation or opposition to its processing, transparency and right to not be subject to automated decisions.